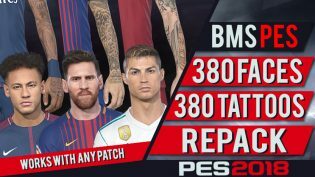 PES 2018 380 Tattoo & Faces Repack dari bmS – Berikut penampakan 380 Faces & Tattoo repack untuk PES 2018 dari bmS. 1. Download the file and extract it.